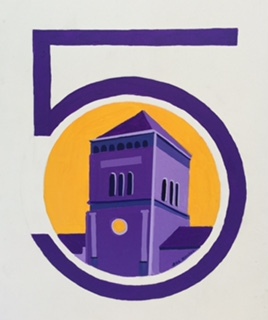 This logo was designed by classmate and renowned artist, Bob Rankin, for our 50th Reunion. We are so proud to have this rendering by Bob!! Needham Broughton Class of 1966! Our website has been in existence for more than a year and we are excited that we have over 200 members. It has been a great tool to find "lost" classmates and we hope you will continue to spread the word so others will join! It is used not only as the primary communication link for class news; but also as a source for our classmates to reconnect!! We will always be "under construction" and adding lots of information, so check back frequently to see updates. Also, check out your classmates' profiles and see what they have been doing over the last 50 years! There are pictures too! To get started, Click on "First Time Visitors" in the upper left corner of this page and follow the instructions found there. You will need to establish your user id and a password and then be sure to complete your classmate profile and include your email address. Look around on the site and become familiar with all the available functions. Add pictures to your profile and get in touch with those "old" classmates you haven't talked to in years. We have had a bit of success in locating some of our "missing" classmates; however, if you know someone on the missing list, please be sure to send their contact information to us so we can update their profile. And PLEASE encourage everyone to register on the website so we can be sure to have up to date contact info!! Even though we can update the profile information, until that person joins it remains an inactive profile.